A recent report by the International Atomic Energy Agency (IAEA) revealed that Iran has accumulated sufficient enriched uranium for at least one nuclear weapon, and that the country had understated by a third how much uranium it has enriched. The report also claims that the discrepancy is the result of a "technical error" rather than Iranian subterfuge. I doubt that last assessment. This IAEA report should come as no surprise - Iran has consistently lied about almost every aspect of its program. All of its talk of wanting to cooperate with the West has been nothing more than a delaying tactic. While it dragged out the talks - or talks about having talks - the centrifuges at Natanz continued to spin. During my recent trip to Israel, I met with several Mossad analysts who provided their assessment of the Iranian program - they agree with this recent revelation by the IAEA. 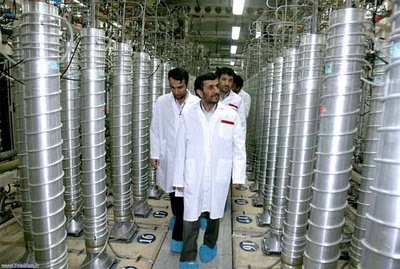 According to their information, there are 5000 centrifuges enriching uranium at Natanz. They also believe that Iran has, or will have shortly, enough low-enriched uranium (LEU) for a nuclear weapon. As of now, the Iranians have not produced highly-enriched uranium (HEU), the fissile material required for a weapon. Iran's efforts to develop plutonium, another type of fissile material, at Arak will probably not be successful until 2013. The next step for Iran is to further refine the LEU into HEU. At that point, Iran will be in violation of the Non-Proliferation Treaty (NPT) - Iran is a signatory of the agreement. At that point, of course, Iran's intention to develop nuclear weapons will be clear to all. 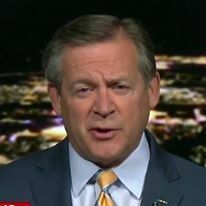 American intelligence analysts believe that once Iran completes the enrichment of LEU into HEU, it will be two to five years before the Iranians will be able to design and build a weapon. If, however, Iran has acquired the design and related technology from Pakistani nuclear proliferator A.Q. Khan, the time line will be significantly shorter. I am of the opinion that Iran fully intends to develop a nuclear weapon. Anything it does to appear to cooperate with the IAEA or the P5+1 (the five permanent Security Council members plus Germany) is nothing more than a tactic to delay further sanctions while continuing to enrich unranium. At some point, they will either covertly divert LEU to another facility to develop it into HEU, or they will declare themselves out of the NPT and process the LEU at Natanz. Since it does not appear the United States and its allies are willing to stop Iran from acquiring nuclear weapons, we should be developing policies on how to deal with a nuclear Iran. Kerry wants Syria to help disarm Hizballah? Hizballah has the "right" to air defense weapons?